In Maxcrest Ltd. v. United States, 2016 U.S. Dist. LEXIS 118481 (ND CA 2016), here, the IRS issued a summons under the exchange of information clause of the U.S./Russian Federation double tax treaty. The summons was issued in the investigation of potential Russian tax liability and sought email information from Google. The taxpayer, identified Maxcrest Ltd., moved to quash the summons. Google's headquarters is within the Northern District of California, hence the motion to quash was filed there. There was some intermediate sparring and a new summons substantially like the first one was issued. The Court denied the taxpayer's motion, thus requiring the summons to proceed. The opinion presents standard fare for summonses issued pursuant to the various treaties, here the Russian Federation version of the double tax treaty. Under those treaties, the U.S. is required to use its internal processes (here the IRS summons) to obtain the information. While proceeding under the double tax treaty is not everyday fare, the only difference between that and normal summons enforcement is that the summons is issued pursuant to a treaty request related to the requesting treaty partner's taxes. Then the normal summons procedures and requirements a la United States v. Powell, 379 U.S. 48 (1964), kick in, but they are minimal and almost surely will be met if the IRS acts on the exchange of information request. There is one key exception to the normal summons requirements in addition to those in Powell. The exception was not involved in the case (perhaps because the issue had long since been decided in a treaty request context). IRC § 7602(d), here, prohibits the issuance of a summons where a "Justice Department Referral," as defined, is in effct. 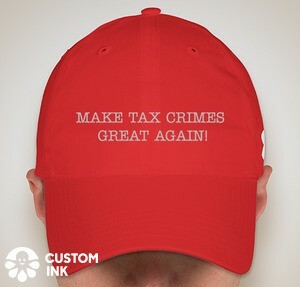 That limitation is designed to create a bright line as to when the IRS should stop using the administrative summons in a criminal investigation that has reached the stage of a Justice Department Referral. When it has reached that stage, the notion is that further investigation should use the grand jury subpoena as the compulsory process rather than the IRS administrative summons. In United States v. Stuart, 489 U.S. 353 (1989), here, the issue was whether, in a summons enforcement proceeding, the limitation in § 7602(d) could be given some effect in a summons issued pursuant to a treaty request by inquiring into whether the foreign investigation might have reached the stage equivalent to the Justice Department Referral. A treaty related issue was whether the enactment of § 7602(d) after the treaty was ratified by both nations meant that § 7602(d) overrode the treaty and required the equivalency inquiry. The Supreme Court said no to both issues. So long as the Power requirements are met, the summons is enforceable.